Surprisingly not whiny, and even more surprisingly, really cool. Could easily become their best ever. Edit: It has. It's awesome. So much better than what I expected. I agree that this might end up being their best work. ▒ Ook ik vind deze samenwerking tussen de formatie "Simple Plan" en zangeres "Natasha Bedingfield" uit de lente van 2011 verrassend en helemaal niet vekeerd !!! Deze rockplaat zit zelfs bijna tegen de 5 sterren aan !!! Maar wie weet, toch 5 straks ??? De tijd zal het leren ☺!!! ich finds gut. die stimmen passen sehr gut zusammen! er is inderdaad helemaal niets mis met deze samenwerking. Leuk om weer eens iets van simple plan te horen, en zeker ook leuk om weer eens wat nieuws van Natasha Bedingfield te horen. Hitje! Charmeoffensief van Bedingfield, die na jaren meteen met twee singles op de proppen komt. Wat mij betreft had ze op dit nummer een nog wel grotere rol mogen krijgen. Neemt niet weg dat dit een prettig popliedje is geworden, dat voor beide weer eens hitsucces kan opleveren. I can't believe you people are loving this. The lyrics are just pretty meh tbh. Might grow on me, but definitely won't to the point that it's one of their best to date. Such an awesome song, one of the best Simple Plan songs ever. Brilliant move getting the fantastic Natasha Bedingfield singing on this. Could revive her career. Much better than the When I'm Gone-Your Love Is A Pie era, but still a very poor effort. Edit: It's getting better, the 'heart-heart, heart-heart' part still irritates me though. Just goes to show that you can make a catchy song with some terrible lyrics if the hook is right. Hat ganz schön Drive. Gefällt mir! Its alright, nothing special . Ganz nettes Radiofutter, Natasha Bedingfield ist erneut involviert. Sie hörte man ja zuletzt auch in "Pocketful of sunshine". Ich mag Natasha Bedingfield sehr und "Simple Plan" sind auch recht gut. Also bisher lieferten beide Acts schon häufiger gute Tracks ab. Zusammen müssten dann die Funken sprühen. Die vermisse ich in diesem Song etwas. "Jet Lag" ist ein gefälliger, netter Pop-/Rocktitel, mehr nicht. 4*. Das ist typischer Simple Plan-Sound, den ich eigentlich mag, aber was Natasha Bedingfield in dem Song zu suchen hat, kann ich nicht nachvollziehen, wäre nicht nötig gewesen! Endlich wieder mal so etwas wie ein "Song" als Neuheit in den Charts, auch wenn er mich nicht umhaut... --4. Kansch de Hase gebe, dooo! Hätte ich im ersten Moment Sunrise Avenue zugeordnet. Jedenfalls eine ganz muntere und fröhliche Poprock-Nummer aus dem aktuellen Radioprogramm. its quite good but the style is kinda generic and out-dated. kommerziales power pop machwerk für "teenager". geht mir nach 1er minute auf den wecker. Great rock song, the addition of Natasha Bedingfield's vocals are great and its great to see a good rock duet chart well again. Radio Song - aber ein ordentlicher Muttermacher am Morgen (speziell bei diesem Wetter). Mieser, gähniger Gitarrenpop. Auch die Bedingfield kann da nichts gerade biegen. Aufgerundet! Stupid song. I get the generic message behind it, but the song itself isn't that great. Ist okay... irgendwas hat der Song. Ich runde auf. Dit is een blijvertje, goede plaat voor als je ff een stevige plaat op de radio wilt horen. this song is fucked, aimed at what 10 year olds! This was a pleasent surprise from the normally whiney Simple Plan. A solid pop/rock tune and up their as one of their best. Came in at #8 on my TOP 200 OF 2011. Funny lyrics. "My heart is so jet lagged". Annoying song especially when he says "heart", it sounds like a dog barking. find ich gut - besser als die französische Version. Geht ins Ohr! Isn't quite as great as it used to be, but it's up there as one of Simple Plan's best tracks. Great chorus and guest vocals from Natasha Bedingfield. Cool pop-rock mainstream track, like pretty much every other Simple Plan track. 4.25*. I really loved this at the time though it has lost some of its shine. The whole concept of the lyrics gets cheesy, though I thought it was a cool idea at the time. Also really catchy and getting Natasha Bedingfield to provide vocals only improved it for me. Also it reminds me of some of the few times I loved high school life so I can't really hate on it based on that. Easily Simple Plan's best. Annoying. Natasha can do better than this. Gefällt mir nicht wirklich - abgerundete 4. Very good track although has aged slightly. Their 2nd best behind Untitled. I loved this back then, not so much now but definitely back in 2011 I would have given this 6*. I'm happy it made the Top 10. I agree, Natasha is definitely the standout. Better than "Can't Keep My Hands Off You" and "Summer Paradise". Tja, klinkt in mijn oren meer als een standaard poprockplaatje met een matige samenwerking van een matige zangeres..
Ich bin zu alt für solches Zeug. Der ist mir zu kommerziell in der Grundausrichtung. 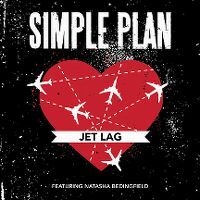 It was a huge comeback for both Simple Plan & Natasha. Funnily enough it didn't even chart in the US tho which surprising seeing how catchy and radio friendly it is.